When the “Anti-Fascist Protection Rampart”—more commonly known as the Berlin Wall—was torn down in November 1989, many thought it marked the end of ideology. While that prediction quickly imploded, 1989 also sparked another revolution: a creative one. 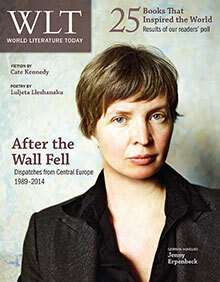 In the past twenty-five years, central European writers have put their stamp on an era marked by continuing upheavals. This special section includes dispatches from a dozen countries shaken by the reverberations of ’89. To access the entire special section (listed below), you can purchase the print or digital issue online. 26 Twenty-five Books That Inspired the World – the results!